As Catholics, we learned to recite the catechism in anticipation of our First Holy Communion. We memorized the definition of a sacrament (an outward sign instituted by Christ to give grace). And we understood that the Eucharist was one of the seven sacraments. As First Communicants, we testified to the belief that the Eucharist was the Body and Blood of Jesus Christ. And, by extension, we accepted the requirements needed for a worthy reception. We all learned the Truth. Yet, not all of us allowed that reality to root deeply into our minds and hearts. In fact, a 2010 Pew Research Center study found “more than four-in-ten Catholics (41%) say the church teaches that the bread and wine are symbols of Christ’s body and blood and 3% say they do not know what the church’s teaching is.” That means, nearly half of adult Catholics believe that the Eucharist is not actually the Body and Blood of Jesus Christ, but is instead just a symbolic gesture. 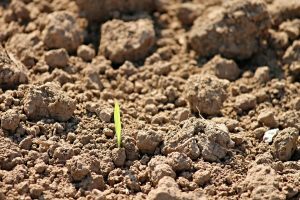 As Jesus taught in the Parable of the Sower, not all seeds of faith get scattered into rich soil and produce good fruit. So it isn’t entirely surprising that the lessons learned before receiving our First Holy Communion are, for some, choked by worldly errors or withered for lack of devotion. Doubt and misunderstanding supplant the once child-like acceptance of the true substance of the Eucharist. For one young Italian boy, this was not the case. From the first time Carlo Acutis received Christ in the Eucharist at his First Holy Communion, he was convinced. Having had ears to hear, he had no doubts that Jesus was present, Body and Blood, in every consecrated communion host. In fact, Carlo was so devoted to our Lord in the Eucharist that even in grade school he was a daily communicant and weekly attendee in the confessional. By all accounts, Carlo, born in 1991, was an ordinary boy. He attended school and enjoyed hanging out with friends. He had a passion for computers and dedicated countless hours to film editing, programming and website creation. Carlo’s parents weren’t particularly devout Catholics, but that didn’t deter their son from becoming a catechist while still only in grade school. Carlo’s young heart and mind were rich soil. In fact, even at his tender age, he said, “The more Eucharist we receive, the more we will become like Jesus, so that on this earth we will have a foretaste of Heaven.” With that belief in mind, at 11 years old, he asked his parents to take him to see all of the Eucharistic miracles displayed throughout the world. 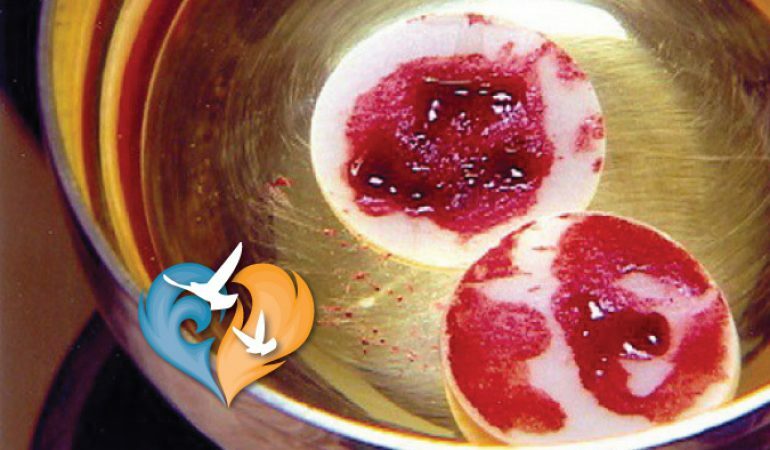 Eucharistic miracles are Vatican-approved events. During each event, the Real Presence of Christ’s Body and Blood manifested not only in substance (what a thing is) but also in appearance (what a thing looks like). His combined interest in computers and devotion to Christ in the Eucharist laid the groundwork for what is now Carlo Acutis’s legacy. Over the course of two and a half years, he researched and cataloged 136 miracles of the Eucharist. With that information, he created a virtual museum with images and descriptions of each miracle. Additionally, his collection of pictures and text were combined into a panel presentation which has been viewed throughout the world. With the help of several organizations, including the Knights of Columbus, The Cardinal Newman Society and The Real Presence Association and Education, the panels have been displayed in thousands of parishes and nearly 100 universities in the United States alone. This faithful and industrious young man once said his life’s plan was “to always be close to Jesus.” At the age of 15 years old, he fulfilled that mission. 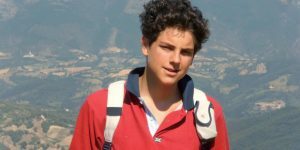 Carlo Acutis died of fulminant leukemia on October 12, 2006. In his brief time on earth, he discovered the “highway to heaven” as he called it. And he devoted his energy to making the reality of that highway (proof of the Real Presence) evident to all. Less than ten years after his death, on July 5th, 2018, Pope Francis declared Carlo Acutis to be Venerable. 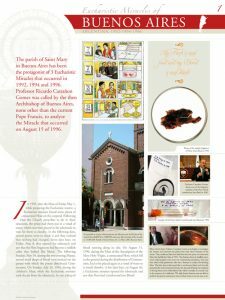 You can follow his cause for sainthood, view his work on the Eucharistic miracles or arrange a display of the panel presentation for your parish or organization by visiting The Official Carlo Acutis website. Thank you for sharing this new venerable and his legacy for the rest of us to travel through discovery of the “highway to heaven.” May we be enriched by his good works, fidelity, and charity! Pray for us, Ven. Carlo Acutis!